Long novels tend to wear out the reader, and this one was no exception. Yet I ended up reading Mo Yan’s Life and Death are Wearing Me Out. In the process, I came to not only respect Mo Yan’s talented writing, but also gained a view of China through the second half of the long 20th century. On a side note, it is quite ironical that what is a very long read, took Mo Yan just 42 days to write, that too by hand since he doesn’t use a computer. Mo Yan’s writing is humorous as he recounts the ups and down of Chinese history–starting with the Revolution on 1st January 1950 and ending the novel on 1st January 2000. It is not only the turn of the millennium but also a time when China firmly and decisively, veered towards a capitalist future. 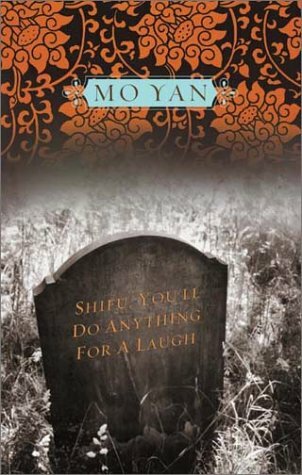 I have just begun reading Part III of Mo Yan’s “Life and Death are wearing me out” (a little over one third of the book) and have mixed feelings about it. What works for me is the narrative of post- revolutionary China, particularly about the Cultural Revolution. What also works are the different points of view, a robust sense of humour amidst a tumultus period of China’s post- Revolution history and a literary flourish that make the book a page turner. What doesn’t seem to be working is the quirkiness of the narrative, tangential diversions and exaggeration- much in the style of Garcia Marquez in “One Hundred Years of Solitude” which I liked the first time I read “One Hundred…” but found it irritating while reading the second time. Mo Yan’s style also contrasts with another book that I happened to be reading alongside- “Everything Flows” by Vasili Grossman. The collectivization of the peasantry, among other changes in the post Revolutionary Soviet Union up to Stalin’s death are very similar to those in China in the 1950s and 60s. Yet, the contrast between the two writers could not be more striking- Mo Yan is verbose and humourous while Grossman has used tight prose and is uniformly serious, digressing into long soliloquies on Lenin, Stalin and a grand sweep on Russia’s thousand years of history. It was refreshing to read a simply written, straightforward novella that is no less – if not more, engaging than “Life and Death…”. 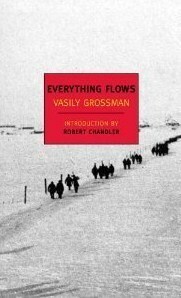 I finished the 200 page “Everything Flows” in a couple of weeks, much moved by its sparse but surgically precise prose. I continue to plough through “Life and Death are wearing me out”, and if I am not worn out by the time it is finished, will post a longer review. Mo Yan, winner of the 2012 Nobel Prize for Literature, is the nome de plume of Guan Moye- the name “Mo Yan” literally means “Don’t Speak.” Apparently, Guan Moye was so talkative as a child that his mother repeatedly commanded, “Don’t Speak.” So, when Guan Moye decided to become a writer, he adopted Mo Yan as his nome de plume. 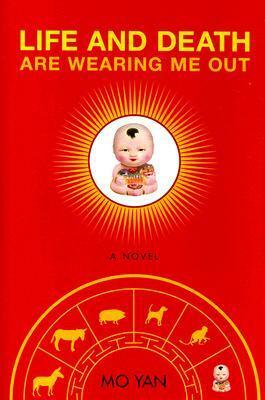 It says much about today’s China when Mo Yan explains why he decided to become a writer. He was once told by a student sent to the countryside during the Cultural Revolution that writers make a lot of money, so he decided to put his gift of the gab to a profitable use. That is how Mo Yan became one of China’s most loved living writer. The collection of stories in the book under review, Shifu, You’ll Do Anything For a Laugh, contains 7 of the writer’s stories written over several decades. The title story is about Ding Shikou, a worker who has been fired from his job just a week before his retirement. In the new capitalist China where making money by hook or crook is as acceptable as for a worker to be laid off close to retirement, Ding Shikou finds opportunites to make money in an abandoned bus hidden among the vegetation near a beach resort. Observing that young couples often do not have enough privacy at the beach, he starts to rent out the bus after furnishing it with a bed and providing cold drinks to couples- young and not so young. Soon, he has a roaring business. Towards the end of the story, his conscience comes back to gnaw at him. This is by far the best story in the collection, marked by touches of magical realism. while I ride on a donkey. Looks like you are better off than me! Turning around, I see a man pushing his cart. What do we mean by cloud and water? Clouds float by water flows on. In movement there is no grasping, in Ch’an there is no settling. The cloud and water life is a life of living in the moment, always fresh and ready to experience. A re- look at the “dollar a day” line for measuring poverty may increase the number of poor below poverty line in China by 300m. The dollar-a-day definition of global destitution made its debut in the bank’s 1990 World Development Report. It was largely the discovery of Martin Ravallion, a researcher at the bank, and two co-authors, who noticed that the national poverty lines of half-a-dozen developing countries clustered around that amount. In two working papers* published this week, Mr Ravallion and two colleagues, Shaohua Chen and Prem Sangraula, revisit the dollar-a-day line in light of the bank’s new estimates of purchasing power. They also provide a new count of China’s poor. Thanks to American inflation, $1.08 in 1993 was worth about $1.45 in 2005 money. In principle, the researchers could count the number of people living on less than this amount, converted into local money using the bank’s new PPP rates. But $1.45 a day strikes the authors as a bit high. Rather than update their poverty line, they propose to abandon it. It is time, they say, to return to first principles, repeating the exercise Mr Ravallion performed almost two decades ago, using the better, more abundant data available now. For practical purposes, policymakers will always care more about their own national poverty lines than the bank’s global standard. The dollar-a-day line is more of a campaigning tool than a guide to policy. And as a slogan, $1.25 just doesn’t have the same ring to it. A better option might be to reset the poverty line at $1 in 2005 PPP, which would line up reasonably well with at least ten countries in the authors’ sample. In adding a quarter to the dollar-a-day poverty line, the researchers may cut its popular appeal by half. At the time, young wives in our village didn’t have regular names. Add the word “xiao”–young–in front of their maiden names, that’s how they’d be called: “Xiao Qian,” “Xiao Sun,” “Xiao Ma.” After they had borne children, it would then be all right to call them “so-and-so’s ma,” such as “Xiaomei’s ma,” “Liu Ping’s ma.” Only Wang Hanfang, everybody called her by her own name. At Words Without Borders read Wang Anyi’s short story Wang Hanfang about life during the cultural revolution. WWB’s April issue has a focus on China. Statistical half truths can be more misleading at times than untruths. And this might be one of them, insofar as the experiences of ordinary Indians contradict such statistical artefacts. Since citizens in India can express reasonably freely their views at least at the time of elections, their electoral verdicts on the regime of high growth should be indicative. They have invariably been negative. Not only did the “shining India” image crash badly in the last general election, even the present prime minister, widely presented as the “guru” of India’s economic liberalisation in the media, could never personally win an election in his life. In contrast to earlier times when less than 4 per cent growth on an average was associated with 2 per cent growth in employment, India is experiencing a growth rate of some 7-8 per cent in recent years, but the growth in regular employment has hardly exceeded 1 per cent. This means most of the growth, some 5-6 per cent of the GDP, is the result not of employment expansion, but of higher output per worker. This high growth of output has its source in the growth of labour productivity. According to official statistics, between 1991 and 2004 employment fell in the organised public sector, and the organised private sector hardly compensated for it. At the extreme ends of income distribution the picture that emerges is one of striking contrasts. According to the Forbes magazine list for 2007, the number of Indian billionaires rose from nine in 2004 to 40 in 2007: much richer countries like Japan had only 24, France 14 and Italy 14. Even China, despite its sharply increasing inequality, had only 17 billionaires. The combined wealth of Indian billionaires increased from $ 106 to $ 170 billion in the single year, 2006-07 [information from Forbes quoted in Jain and Gupta 2008]. This 60 per cent increase in wealth would not have been possible, except through transfer on land from the state and central governments to the private corporations in the name of “public purpose”, for mining, industrialisation and special economic zones (SEZs). Estimates based on corporate profits suggest that, since 2000-01 to date, each additional per cent growth of GDP has led to an average of some 2.5 per cent growth in corporate profits. India’s high growth has certainly benefited the corporations more than anyone else.